Babies are so delicious aren’t they?! Especially now I am at the stage where I can have a lovely cuddle – and then hand them back to their parents! 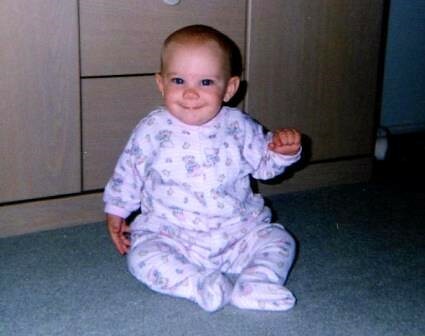 I remember loving dressing up my Babies (now 22 and almost 20), and all the cute baby clothes to choose from. 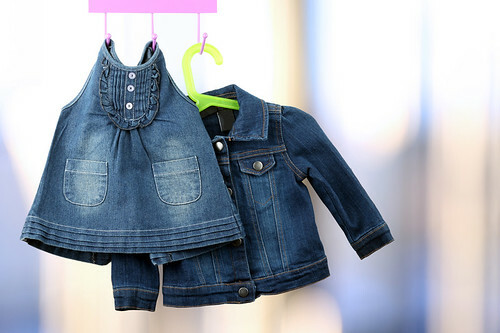 However – I’m not a fan of the trend to dress tiny babies in funky, hip gear – like little denim jackets, jeans, and the like. Sure, they’re cute but I can’t help thinking – there’s plenty of time to like trendy and cool, later on in life. Why not just let babies be babies? So soft and snuggly, and I love the padding of their nappied bottoms, especially as they are crawling along. Just wanna pat them on the bum! To me, that’s what babies should be wearing most of the time! They’re comfortable AND practical – easy for nappy changes, laundering, and the top and bottom don’t come apart making baby’s tummy or back chilly. Some of the trendy little outfits just don’t look comfortable at all. I can’t help feeling a bit sorry for the little tikes that are forced to wear them. Once a baby is walking, it’s a different story. I’m talking about the delicate newborn stage, through to crawling babies. 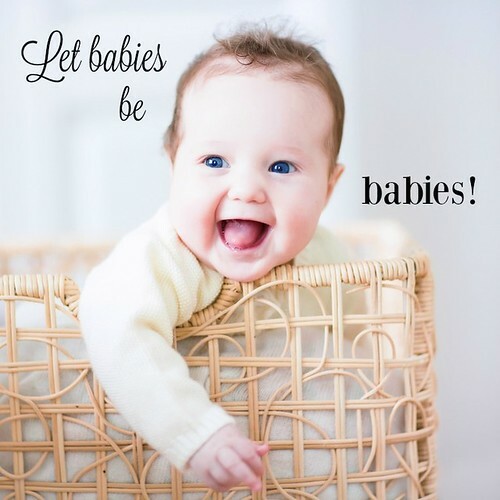 Why can’t we just let babies be babies – or am I just an old-fashioned fuddy-duddy? !